Michigan’s urban centers boast medical systems with highly rated obstetric and neonatal units, yet infant mortality in those areas is still drastically higher among Black residents than white residents. Statewide, three times as many Black Michigan babies die in their first year of life (14.6 babies out of every 1,000 live births) as white Michigan babies (4.8 babies out of every 1,000 live births), a ratio that has sadly risen in recent years. But the numbers are even more alarming in many of Michigan’s urban centers. Muskegon’s Black babies have the highest death rate, at 26.5 deaths per 1,000 live births. Black infant mortality rates in Saginaw, Flint, Pontiac, Lansing, and Detroit are all higher than the Michigan average. These numbers coldly reflect the faces of hundreds of African-American infants who died before their first birthday. The disparity extends to mothers as well. In Michigan, nearly three times more African-American women die during pregnancy and childbirth (41.3 deaths per 100,000 live births) than white women (15.1 deaths per 100,000 live births). "We have had, for a long time, disparity between white, African-American, Hispanic, and other minority groups in the state," says Amy Zaagman, executive director of the Michigan Council for Maternal and Child Health (MCMCH). What are the social determinants of health behind these statistics? And, more importantly, what are Michigan’s communities doing to improve them? Zaagman says that while some mothers and babies die because of lifestyle choices, systemic issues such as differential treatment and lack of access to care, healthy food, good housing, and transportation are at the heart of the problem. Amy Zaagman. "All those things tie in. It’s not an easy answer," Zaagman says. "How do we change systems and communities where racism and other underlying social determinants of health are more deeply rooted?" Research shows that socioeconomic factors including income and educational attainment have either no effect on health outcomes for Black moms and their babies – or less effect than they do for white families. 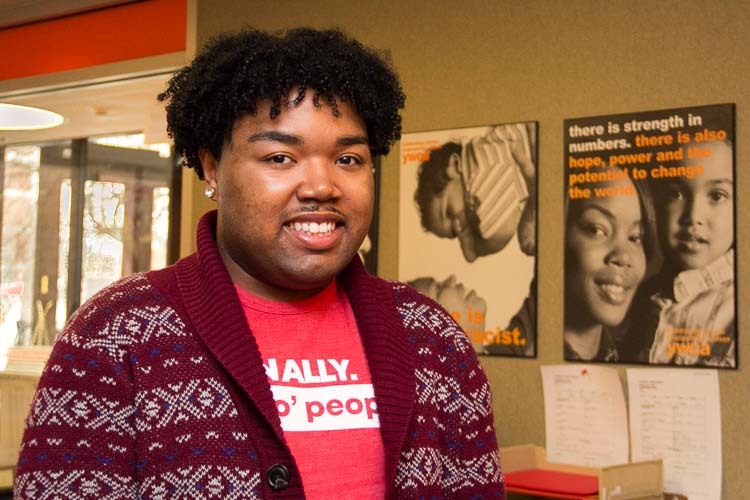 "When you take out these socioeconomic factors, that means structural racism is a determining factor that you can measure," says Demetrias Wolverton, director of mission impact for the YWCA Kalamazoo. "Racism definitely has the potential of creating trauma that women are constantly having to deal with. For Black women, it’s not just access to doctors, but navigating systems that create trauma where they work, where they shop, in all the systems they interact with every day. All these different things continue to add more stress. The trauma that is associated with racism is alive and well." YWCA Kalamazoo leads one of the many Michigan initiatives aiming to reduce infant mortality: Cradle Kalamazoo, formerly the Kalamazoo Infant Mortality Community Action Initiative. The initiative provides programming for families, women, and their children and also collaborates with the region's healthcare providers, insurers, religious organizations, Planned Parenthood, and the NAACP to dismantle the structural racism that leads to infant deaths. Wolverton notes that municipal bodies like the city of Kalamazoo and Kalamazoo County are "taking steps in the right direction" not only through involvement in Cradle Kalamazoo but also in initiatives like Shared Prosperity Kalamazoo. "We are asking, ‘What can we do as a city, a community foundation, to ensure that our community is healthy and thriving and that racism is no longer a social determinant of health?’" he says. Cradle Kalamazoo’s hands-on programming for high-risk women and families includes home visits, infant safe-sleep education, and respectful reproductive health education and support. As another facet of the initiative, Kalamazoo County Health and Community Services and Western Michigan University Homer Stryker M.D. School of Medicine lead the county's monthly Fetal-Infant Mortality Review (FIMR) in order to understand and improve mortality numbers. The Detroit area offers a variety of resources to help support the health of mothers and their infants. Detroit’s St. John Hospital Mother Nurture Project supports breastfeeding among its African-American patients. Moms and Babes Too, a WIC program, provides high-risk expectant mothers access to early intervention and preventive care. WIN Network: Detroit addresses maternal and infant mortality by providing a variety of health-related services and connections to local resources for young women considering pregnancy, expectant mothers, infants, and fathers. Great Start Wayne works with these organizations and many others in an effort to enhance Detroit's early childhood system. Its messaging campaign, My Baby: Born Ready, is an important example of how Great Start's many partner health systems and agencies collaborate. The campaign's ready-made graphics, text, and social media content, which emphasize healthy pregnancy and healthy babies, are used by Detroit-area medical providers, hospitals, WIC programs, community organizations, and health departments. "We really focus on collaboration in Detroit. 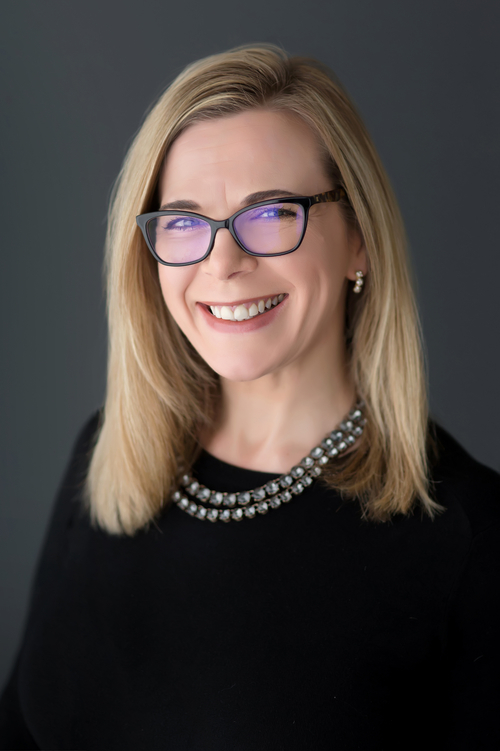 Organizations, programs, and research initiatives that address infant and maternal health meet regularly and with great focus," says Great Start Wayne executive director Kathleen Alessandro. "All recognize that it is important that families receive clear, consistent information that does not send mixed messages." "A productive amount of outrage"
Combating racial inequity has increasingly become a crucial part of efforts to address infant and maternal mortality in Michigan. Underpinning Michigan's many regional initiatives, the State of Michigan’s Mother Infant Health and Equity Improvement Plan (MIHEIP) recognizes "health inequities and unjust treatment" as a primary cause of maternal and infant mortality. Introduced this year, the plan is described as an "iterative, evolving road map" that builds on the state's previous Infant Mortality Reduction Plan. The plan lays out a generalized plan for aligning public and private efforts to address health inequity, which Alessandro says is key. "First and foremost, racial disparities in maternal/infant care need to be recognized, acknowledged, and accepted," Alessandro says. "Education about the disparities needs to be shared among all maternal and infant health touchpoints, and action steps need to be intentionally taken to eliminate the disparities and inequities." But that will still take considerable work and a heightened sense of awareness among multiple groups of Michigan stakeholders. On March 12 and 13, 400 stakeholders in infant and maternal health gathered in East Lansing for the state’s second Maternal Infant Health Summit. Zaagman expressed excitement for the event. "We are trying to be involved not only in spreading awareness about how policies impact the systems and care but also making sure that the medical professionals and public health professionals are involved in that work," she says. "We are listening very closely to what they say will help and using that information to advocate with the administration and with legislators." Despite engagement from those higher-level stakeholders in the medical and legislative spheres, Zaagman says the major missing piece is "broad-based support where the community is driving the solution." Despite the alarming numbers on infant and maternal mortality in Michigan, she says public awareness of the issue is still remarkably low. "We need a productive amount of outrage," Zaagman says. UIX: Breastfeeding mothers share experiences and insight to help others succeed??????? Strong fathers, strong families: New program aims to support Latinx community??????? Demetrias Wolverton photo by Susan Andress. Amy Zaagman photo courtesy of Amy Zaagman.